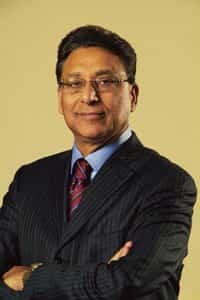 India opportunity: Vinod Dham says there’s scope for application of technology and creation of new business models in India. Mumbai: Venture capitalist Vinod Dham is no stranger to an economic slowdown. In the early 1980s, the man who would later be called the “father of the Pentium chip" told his wife he had entered the wrong profession. Dham was working with chip maker Intel Corp. in Silicon Valley, California, and his boss, Intel president Andy Grove, had told employees they might lose jobs as times were tough. In 1982, International Business Machines Corp. (IBM) infused $250 million (Rs1,220 crore today) into the company and Dham kept his job. Five years later, the US stock markets fell, he lost all his money and had to return the two plots of land he had bought in DLF City on Delhi’s outskirts. What will be the impact of the economic slowdown on start-ups compared with the dot-com bust of 2000-01? From a US perspective, the dot-com crash didn’t impact the Main Street. Only the people who bought into the hype got impacted. But India was the biggest beneficiary of the bust because of the outsourcing story, because (US) companies were looking to cut costs. Now, it’s a totally different story. This is not a cyclical chan-ge, it is a structural change in the way banking and financial services will get done in the US. It has already impacted the Main Street. When recession comes, people will lose jobs, it will overall be a negative news for all. To India, the near-term impact is negative, because we live in a global world. If we enjoy the benefits of the global bounty, then we also have to be hurt by the global hurt. But my projection is, once the dust settles, India will again become a beneficiary of the debacle of the financial services industry in the US because the pressure will again go on cost- cutting, and they will look to wards countries such as India. How will it affect venture investing in India? Venture capital is less coupled to either leveraging money or growth companies close to an IPO (initial public offering). At the early stage, value is decided not by financial metrics, but by how big the idea is, how smart the team is. If a very smart kid walks in with a great idea today, I have no basis to tell him you have less ownership in this idea just because the stock market crashed yesterday. I don’t know if valuations will be impacted. Taking ideas and giving shape to them where they become attractive to IPO markets takes three-seven years. How have your portfolio companies been affected? A lot of them are at the seed stage, early stage, so not generating cash—cash flow positive would be far. But I think we have a good chunk of our companies in a healthy position right now. A bulk of our investments are not only India focused, but (those companies) are serving the Indian market. They will continue to deliver goods and services to the Indian market. The US can be in recession, but India and China can still be growing. The key impact we see is foreigners taking their money out of the country. And right now, they’re taking money out because they need money somewhere else. But once the dust settles, where will they put the money? In a recession economy in the US, or would they come back to emerging economies in India and China? My forecast is they’re going to come back here. Within technology, where do you see disruptive opportunities such as your success with the Pentium chip? One area of innovation is computer as a utility. You and I don’t worry about how electricity reaches our homes, but for computers, we still think about connecting it, getting the Internet… That too can be made a utility. But there’s not that much innovation left (in computing) as it was in the 1980s and 1990s. The innovation that is taking place is in clean technology, especially in the US. The second area is in life sciences, in fixing diabetes or cardiac issues or Alzheimer’s. Now there is clear evidence that we are but a product of our DNA. Question is, if you can just find a defective DNA, remove it and put the right one, you’re done. There’s a lot of research going on. It looks far-fetched, but really, it isn’t. It’s benefiting from all this computing, it couldn’t have been done without doing these billion computations per second. What about opportunities in India? There is money to be made in India where you apply the technology. India is not a place where fundamental technology is getting created. But there is (scope for) application of technology and creation of new business models. You must have invested quite a bit of your current fund by now. Are you raising a new fund? We will be ready for our next fund next year. Won’t fund-raising be hard in this market? Until three weeks ago, conditions were very favourable. We’ll see.